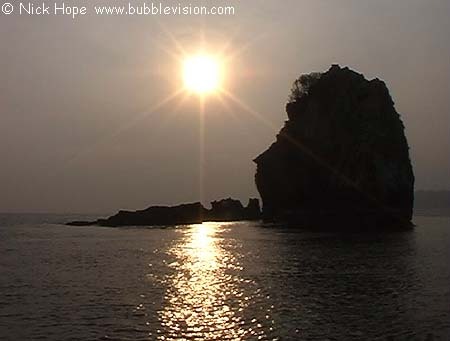 Late afternoon tranquility at Shark Cave belies the underwater activity that makes this in many people's opinion the Andaman Sea's best dive site. The site is also known as "In through the out door" and "Three Stooges". My DVD features lots of underwater video from Shark Cave.